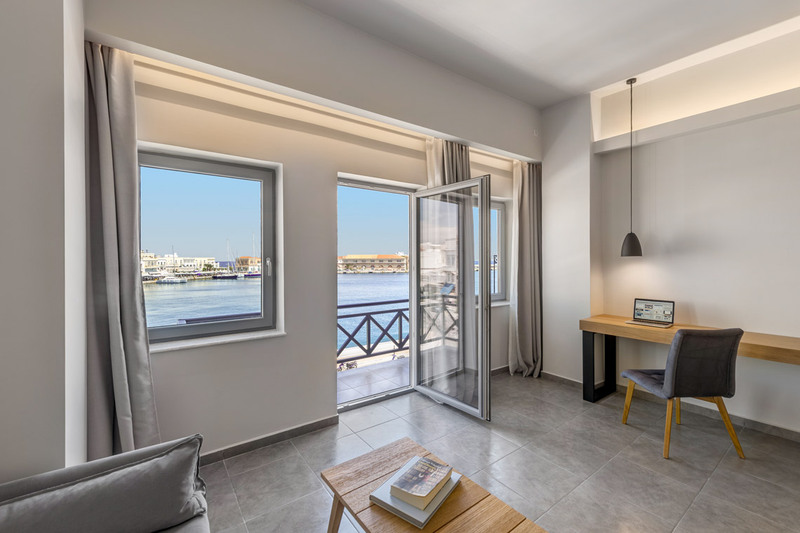 Built to accommodate the most demanding travelers, the second floor suite with sea view, has been created with a sense of comfort and luxury. 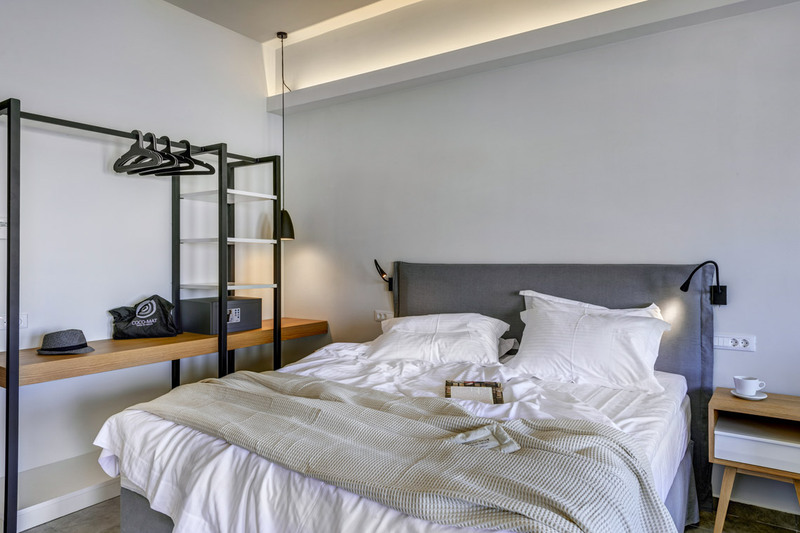 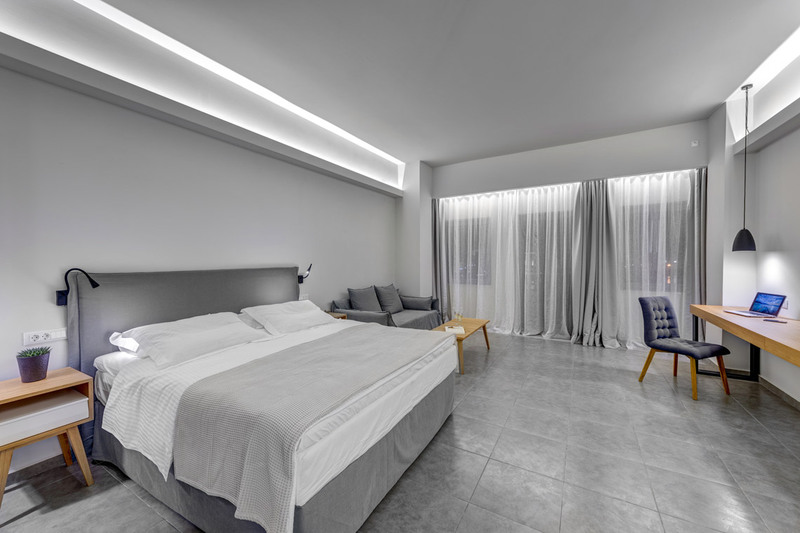 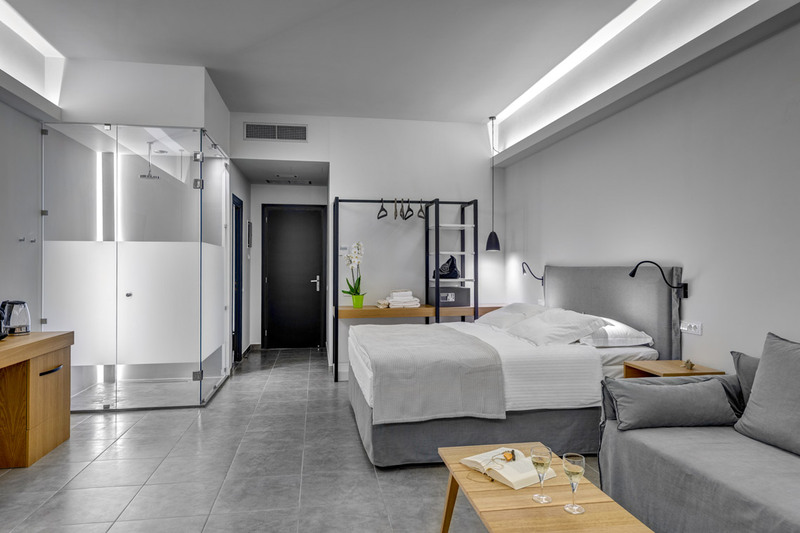 With modern, clean lines and 40sqm room space you will love your stay. 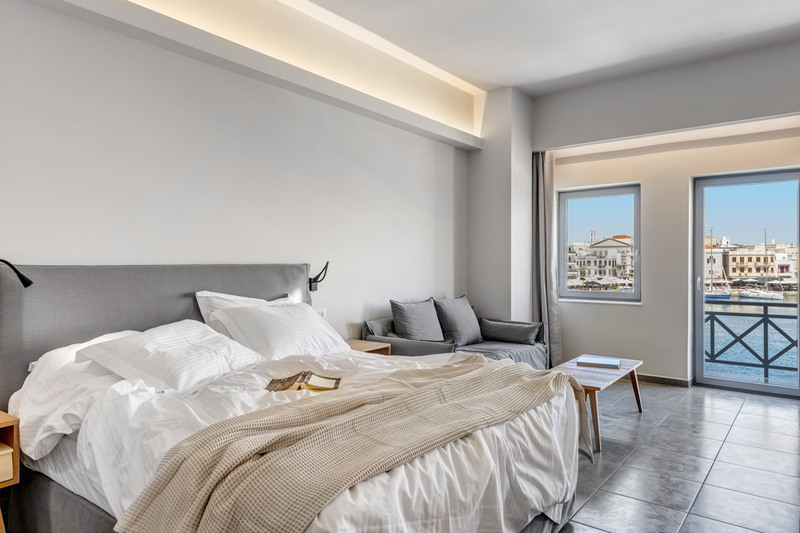 COCO-MAT’s 3-layer sleep system, combined with the pillow menu, the coco-mat aromatherapy cushions, and the bed linen, provide unparalleled comfort and relaxation in your sleep. 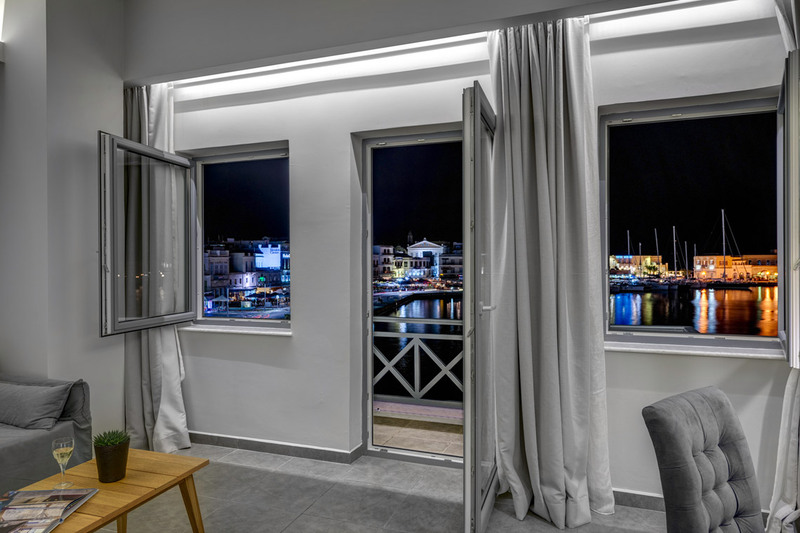 The cozy sofa and the private balcony with direct views of the port of Hermoupolis offer unique moments of relaxation. 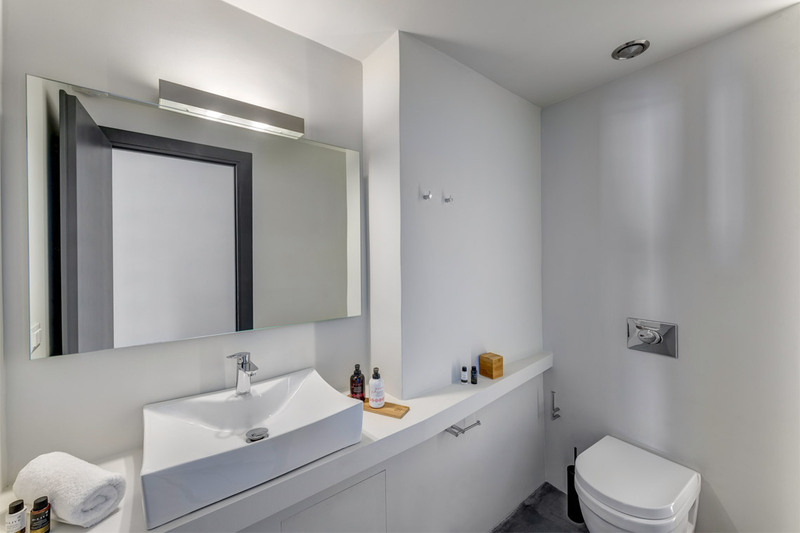 Enjoy your shower with Zealots of Nature personal care products and the fluffy towels. 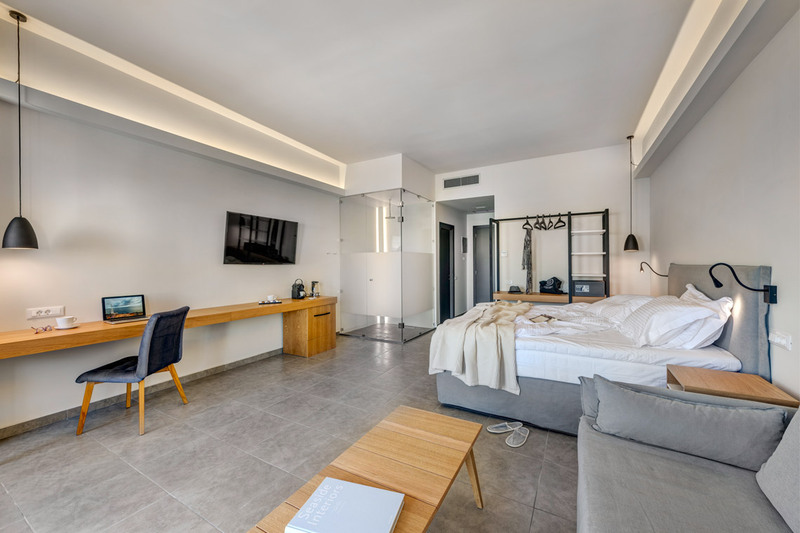 The 49′ TV, the VDSL Wi-Fi, the coffee maker with Nespresso capsules, free of charge and the fully equip mini-bar complete the unique experience of staying at NAVES Suites.